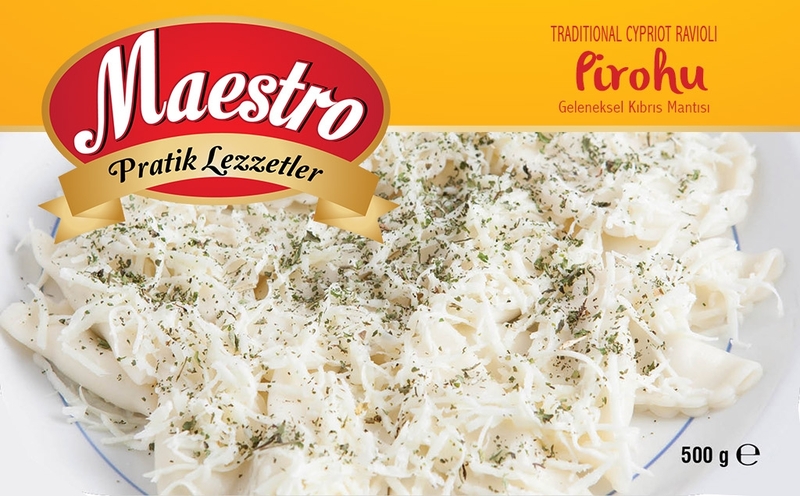 A traditional Cypriot dish of pasta with a cheese filling, shaped into delicate half moon. This ravioli captures the authentic taste of Cypriot cuisine and is made using only the freshest, locally sourced ingredients, before being quick frozen for freshness. Local Cheese, Flour Water, Dried Local Cheese, Dry Mint, Salt.